The browsing experience is a two-way street. Today, nobody wants to be spoon fed information. Instead, they expect a chance to take part in the conversation, either by voicing an opinion or by participating directly in the action. In part, this trend has a lot to do with advancement of the millennial customer as they become increasingly dominant players as both business leaders and consumers. Millennials are hardly a passive generation. In fact, according to Search Engine Journal, Gen Y is eager to participate in a brand’s marketing. That’s why marketers have reported a conversion rate of 70% when interactive elements are included, in contrast to just 36% when it is absent. By employing interactive elements, you win in more than one way. After all, the relationship between interaction and increased user retention cannot be ignored. Logically speaking, if you give your users an activity or opportunity to contribute, they appreciate both the entertainment and the fact that your brand sees value in their opinions and everyday needs. Now that the importance of interaction is clear, here are some hacks to help you make it happen. User generated content is one of the most exciting things to hit content marketing since its inception. Because content marketers always have to be on top of the latest and greatest ways to deliver fresh content, stories, and insights, the job can be tiring to say the least. But thankfully, the process is new and exciting for your user base. That’s why UGC is such a hit. UGC gives your users the rewarding opportunity to participate in your creative marketing campaigns. Through sharing their pictures, videos, articles, and opinions, they feel a greater connection to your brand, while you generate the ability to gain new and innovative perspectives within your content. Brands such as Coca-Cola and Starbucks have famously used UGC to gain loyalty and spark further interest in their products. In addition, when such campaigns feature hashtags and other social elements, they have the ability to go viral fast—attracting more and more people to visit your site and encouraging them to stay and explore. Like UGC, interactive content is a total game changer in the realm of content marketing. While users have grown to appreciate content as a source of information, with everyone getting on the bandwagon, they need more to keep people interested. Interactive content gives your users the chance play an active role in your content through taking quizzes, watching videos, using interactive infographics, and more. As a result, they are not simply sitting around taking in every last word but being entertained and valued as both users and a source of worthwhile information. Since millennials are more inclined to participate in content that entertains them, keeping them active has proven to be an extremely successful retention strategy. Many blogs and online publications are weary of conversation. Their fears are legitimized by the array of trolls, spammers, and plain old nonsense that can be found in comments and messaging boards across the internet. But while it may seem tempting, eliminating comments is not the answer, despite the growing popularity of the practice. The reason for this is simple: comments promote conversation, and conversations build community. Community gives your users a sense of belonging and a reason to visit your site. Ensure your site has the tools for conversation. Sites such as EW use Spot.IM’s social sidebar to give users the opportunity to speak their mind about content in a manner that is fun, modern, and non-intrusive. Likewise, Quartz employs an annotations feature which allows users to give input on particular points within the article in a manner that is clever and informative. By utilizing modern and creative commenting systems, people become drawn to your dialog and have more reason to keep coming back. Social buttons are a way for users to show an opinion without contributing too much time and effort. In milliseconds, a person can show if they like or dislike a piece of content, legitimizing their beliefs and making them feel heard. Some sites such as BoredPanda and Buzzfeed even give the opportunity to connect feelings or ratings to social buttons, which allows users to reveal even more insights as to how on point the content is according to their opinion. By utilizing this small yet intuitive feature, you give people a means to express themselves without getting overly involved, appealing to more of the general population. As a result, more users get involved in your site’s offerings and play an active role in your content. A website is an experience. But like all experiences, they can be good or bad. What makes an experience good is entirely subjective. For one person, a roller coaster is thrilling, and for another, it’s terrifying. That’s why you need to know what drives every user segment you may encounter in order to appeal to their needs. By customizing your site for individual users, you successfully pinpoint their problems, connect to their emotions, and understand what makes them tick. As a result, they are more likely to feel greater loyalty and be more enticed to participate in your site’s interactive content. 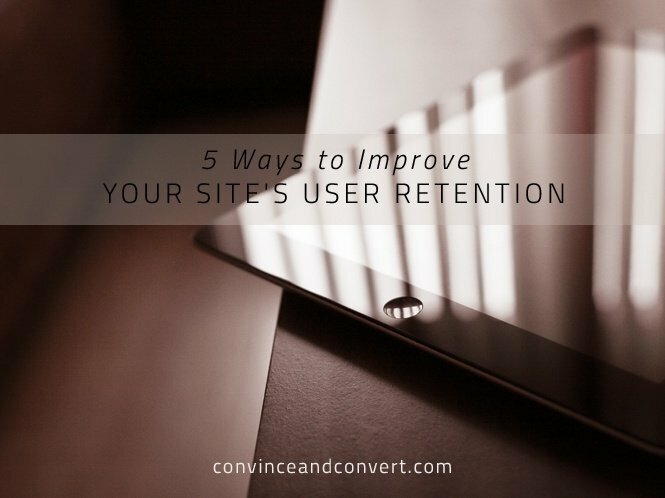 Every site wants to increase their user retention. A high user retention rate has the power to boost your prominence on Google and increase your credibility. By making your site interactive, you give your users every reason to stay on your site longer, keep returning, and endorse you to their friends. As a result, your brand grows in popularity and gains loyalty for years to come. Nadav Shoval is the CEO & Co-Founder of Spot.IM, an on-site community that brings the power back to the publisher. Prior to Spot.IM, Nadav developed and founded four technology startups. Spot.IM is his fifth venture. Nadav is a technology erudite and a sports addict.